steel and hardened. Head is all ball bearing construction with a sealed housing to keep contaminants out. configuration depends upon the customer's needs including position, tooling and tool holders. 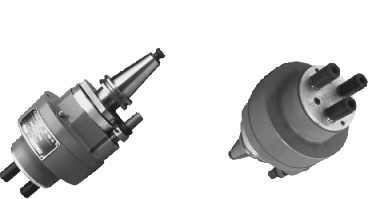 • All CNC machine tappers and retention knobs are supplied as required.